2002 Olympic and Paralympic Winter Games Alpine Skiing Venue | 2002 Olympic and Paralympic Winter Games Alpine Skiing Venue | Ecosign Mountain Resort Planners Ltd. 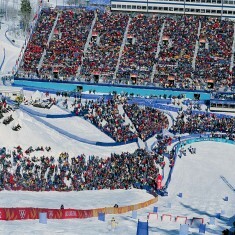 The Snowbasin Ski Resort, located in the Wasatch Mountains of central Utah, was selected as the venue for the 2002 Salt Lake City Olympic Winter Games. 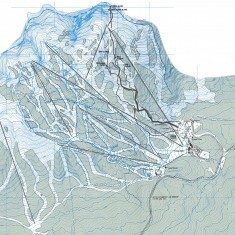 Following this announcement, Ecosign was commissioned by the Sun Valley Company in 1991 to prepare a Resort Area Master Plan to guide the long-term, sustainable development of the ski resort. The plan was used to integrate the Olympic competition venues for for the Men’s and Women’s downhill pistes and the Super Combined and Super G events with development of the Snowbasin ski area. 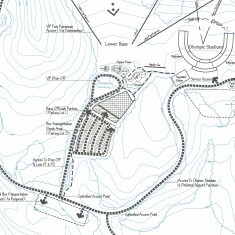 The Master Plan was completed in 1995 and was used as a template for the development of other facilities currently in place at the resort. We prepared a conceptual routing plan for the men’s and women’s downhill and Super G and thereafter worked in close cooperation with Mr. Bernhard Russi of the International Ski Federation to determine the final alignments and safety installations.